It’s one of the earth’s most valuable and life-sustaining resources, used in cooking, cleaning, gardening, recreation, mechanics, medicine—to name but a few things. Tri-County Water Conditioning strives to deliver the best possible water to everyone, everywhere, for every purpose. Experience the difference amazing water can make. Where do you need excellent water? Select from the location options below, and we’ll take it from there. 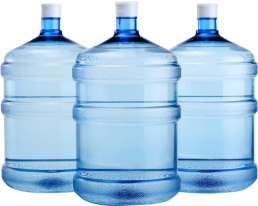 It’s estimated that 75% of the population is chronically dehydrated. The reason? Most are either contending with poor water quality or they’re simply bored of drinking it. This is how water coolers become invaluable in-home appliances. Your family will love having cold, crisp water at the touch of a lever and will likely drink it more often. Tri-County offers Premier bottled water. It is available for pick-up or delivery. 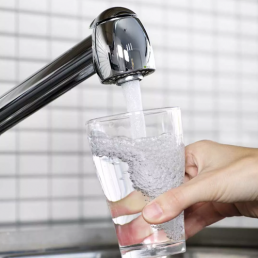 If your home’s water meets local standards but not your own expectations, installing a drinking water system can perfect your not-so-perfect tap. Drinking water systems filter out most undesirable elements to give your family water that’s excellent not only for drinking, but also for cooking, watering houseplants and use in steam irons. 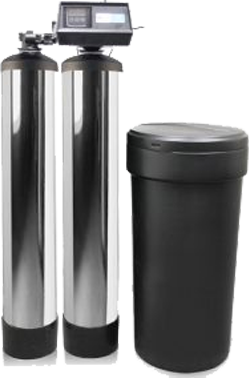 Sediment Filters trap sand, silt and dirt. 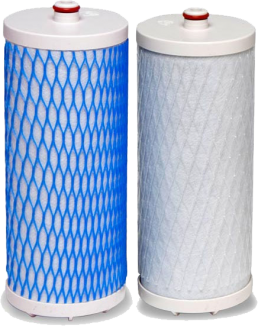 Granulated Activated Carbon Filters remove chlorine, bad tastes and odors. 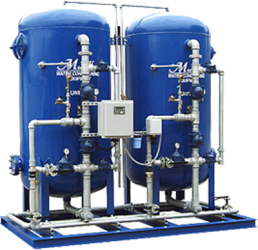 Mixed Media Filtration Systems remove almost everything including chlorine, heavy metals, fluoride, bad tastes and odors. 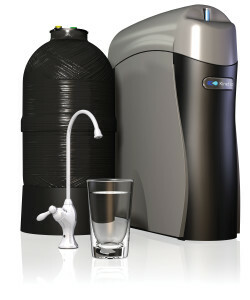 Reverse Osmosis (RO) systems and their membranes perform poorly when introduced to hard water. This is where pre-treatment comes into play. 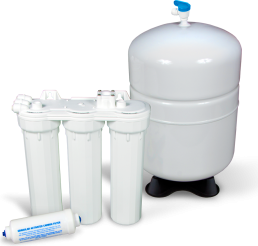 Pre-treatment systems will take care of any hardness and particles that are too large to pass through the membrane, preserving your RO system and the quality of your water. Reverse Osmosis (RO) provides a low-maintenance, chemical-free option to help achieve clean, great-tasting water each and every day. Its technology goes beyond the capabilities of simple water filtration by using semi-permeable membranes to remove impurities from water. 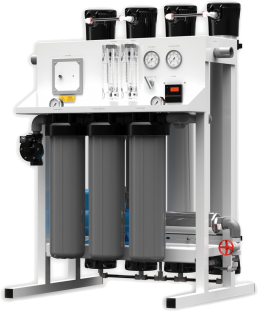 RO systems can be a little costly, but they remove the largest array of contaminants of any other water treatment process. The result is 98-99% pure water you’ll enjoy drinking and using all throughout the office. 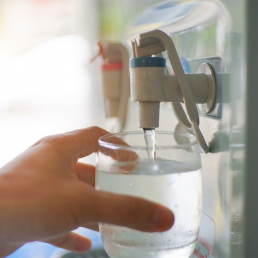 Calcium and magnesium are the main culprits behind hard water, and they will stop at nothing to mess with the taste and function of your water. To remedy this, salt is placed in softeners to chase away the unwanted elements. 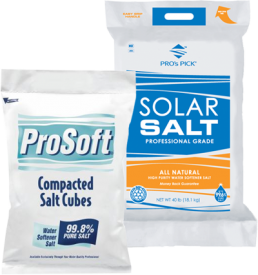 Tri-County Water Conditioning offers ProSoft Salt Compacted Cubes and Pro’s Pick Solar Salt in the fight against hard water. They’re available for pick-up or delivery and are on sale on the first Saturday of each month. Can’t make it to the sale? Simply call us to lock in the sale price, and pick it up later on in the week. 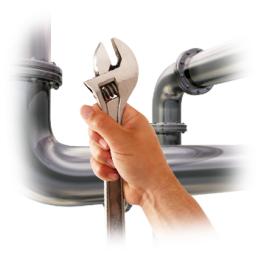 When you call Tri-County Water Conditioning for repairs and services, you can rest assured that you’ll be visited by one of our personal experts who’ll know how to answer all your questions and fix all your problems. We are knowledgeable, friendly and thorough, and we’ll have you up and running again in no time. Are you one of many who contends with hard water? The solution could be as simple as installing a water softener. This appliance is plumbed into your office’s water supply system and replaces bothersome calcium and magnesium particles with salt in a processes known as ion exchange. The result is softer water that tastes better, feels better and won’t destroy your water dependent appliances. The first step in treating your water is to get a water test to identify what issues your water has. The process couldn’t be simpler: Tri-County will come to your office and perform a 10-minute test, free of charge. Keep in mind that water quality can change over time, so we strongly suggest getting your water tested annually. 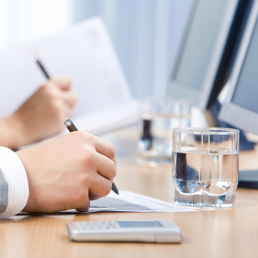 Studies show that when employees are properly hydrated, they perform better in the workplace. They have increased energy without a caffeine crash, lower stress levels and higher brain activity. And, of course there’s that whole social huddle around the water cooler thing. Let us help fuel those conversations with cold, refreshing bottled water delivered directly to your workplace. If your office’s water meets local standards but not your own expectations, installing a drinking water system can perfect your not-so-perfect tap. Drinking water systems filter out most undesirable elements to give your employees high-quality hydration. If you’re looking for a way to purify large quantities of water, deionization is a strong solution.  The deionization process filters out ionized minerals and salts via ion exchange, producing such highly purified water that it is the conditioning method of choice for aquariums and hydroponics. Deionized water is very similar to distilled water, but deionization is faster, less energy-intensive and more cost-effective to produce. Water quality is quite diverse, and sometimes out-of-the-box solutions won’t cut it. 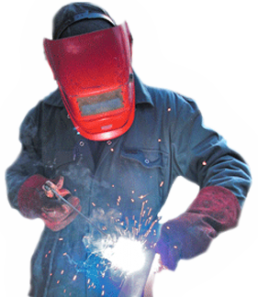 That’s why Tri-County Water has a dedicated machine shop ready to fabricate custom solutions just for you and your needs. We believe everyone deserves excellent water, and we’ll go above and beyond to make sure that you do. 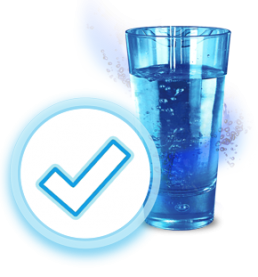 Reverse Osmosis (RO) provides a low-maintenance, chemical-free option to help achieve clean, great-tasting water each and every day. Its technology goes beyond the capabilities of simple water filtration by using semi-permeable membranes to remove impurities from water. 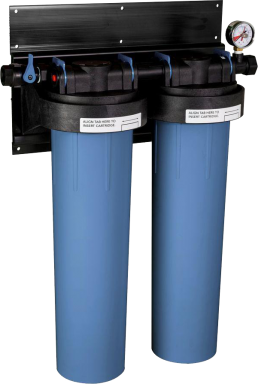 RO systems can be a little costly, but they remove the largest array of contaminants of any other water treatment process. The result is 98-99% pure water you’ll enjoy drinking and using all throughout the workplace. Are you one of many who contends with hard water? 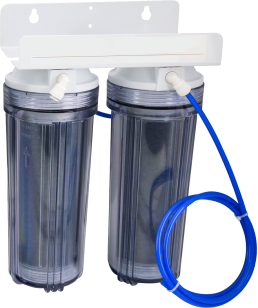 The solution could be as simple as installing a water softener. This appliance is plumbed into your workplace’s water supply system and replaces bothersome calcium and magnesium particles with salt in a processes known as ion exchange. The result is softer water that tastes better, feels better and won’t destroy your water dependent appliances. The first step in treating your water is to get a water test to identify what issues your water has. The process couldn’t be simpler: Tri-County will come to your workplace and perform a 10-minute test, free of charge. Keep in mind that water quality can change over time, so we strongly suggest getting your water tested annually. Let's get to the bottom of it. We’re celebrating over 30 years, thanks to our valued customers. Tri-County Water Conditioning wants you to know we appreciate your business and will never stop giving you our very best. I needed a tiny plastic clip for my water softener that was purchased at Tri-County more than a decade ago. I called them a few minutes after closing time, not really expecting anyone to answer. Not only did someone answer, but the service man I spoke with was very friendly, knew exactly what part I needed, and was so kind as to leave it in an envelope outside the office so that I could pick it up after hours. He didn’t even charge me for it. Outstanding service! Thanks!